Founder, CEO, and President of VideoHab Inc.
David received his Doctorate of Physical Therapy at New York University where he gained experience at several clinics throughout the tri-state area including Columbia Sports and Orthopedics working alongside Yankees sports medicine staff, and worked at the Premeir Sports and Orthopedic clinic, PRO Sports Physical Therapy of Scarsdale, NY in Westchester. At PRO Sports David treated individuals all across the lifespan including pre-adolescents to professional athletes, with an emphasis on rehabilitating post operative sports injuries. Currently David works at the Hospital for Special Surgery in the Sports Performance and Rehabilitation Center, where he is completing a Sports Physical Therapy Residency, in order to become a clinical specialist in Sports Physical Therapy. 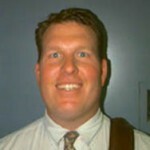 Vice President of VideoHab Inc.
Tim Tyler is a renowned Physical Therapist in Sports and Orthopedics. After receiving his Physical Therapy education at Long Island University in Brooklyn, NY Tim worked closely with his late Mentor, Dr. James Nicholas who is credited as the pioneer and founder of Sports Medicine, starting NISMAT (Nicholas Institute of Sports Medicine and Athletic Trauma) at Lenox Hill Hospital in Manhattan. Tim worked alongside Dr. James Nicholas treating the New York Rangers and New York Jets for several years while simultaneously conducting vast amounts of research in sports injury rehabilitation. He has published over 30 articles in peer review sports medicine journals along with writing 20 book chapters. Tim along with his staff at PRO Sports Physical Therapy revolutionized the way Physical Therapists treat medial and lateral epicondylitis inventing the “Tyler Twist” and “Reverse Tyler Twist” with Theraband’s signature TheraBar, with research to back the effectiveness of the exercise. Over the years Tim has been featured in several media outlets discussing his emphasis on injury prevention and sports rehabilitation. Currently Tim Tyler is the owner and Director of PRO Sports Physical Therapy in Scarsdale, NY and serves as an athletic trainer for Scarsdale Highschool athletics. Concurrently, Tim is also the President of the Sports section of the American Physical Therapy Association, and was recently re-elected for a 2nd term. Founder and Web Designer at VideoHab Inc.
Jake Berkson is a former physical therapy patient of David Meyer. He constantly works on projects to help improve the quality of the lives people lead, while attending New York University. 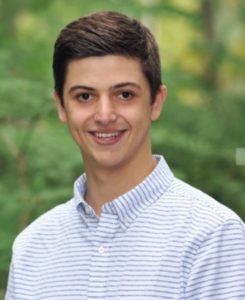 Jake has been involved with physical therapy and technology all of his life and believes that combining the two can have an awesome outcome. Together, David Meyer, Tim Tyler, and Jake Berkson are working to change the landscape of how Physical Therapists are reimbursed for their valued services.